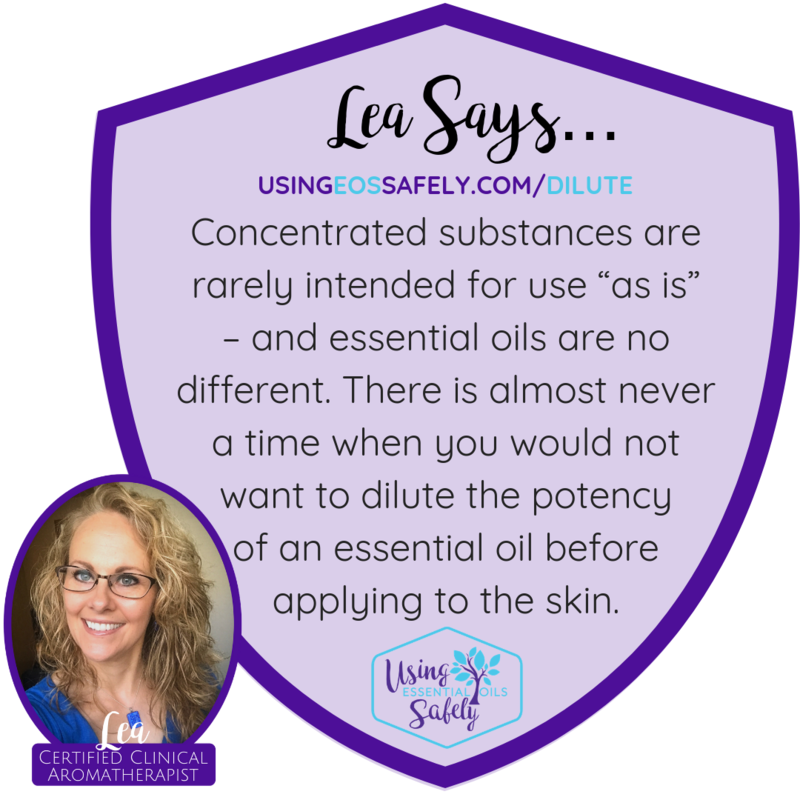 Concentrated substances are rarely intended for use “as is” – and essential oils are no different. There's almost never a time when you would not want to dilute the potency of an essential oil before applying to the skin. 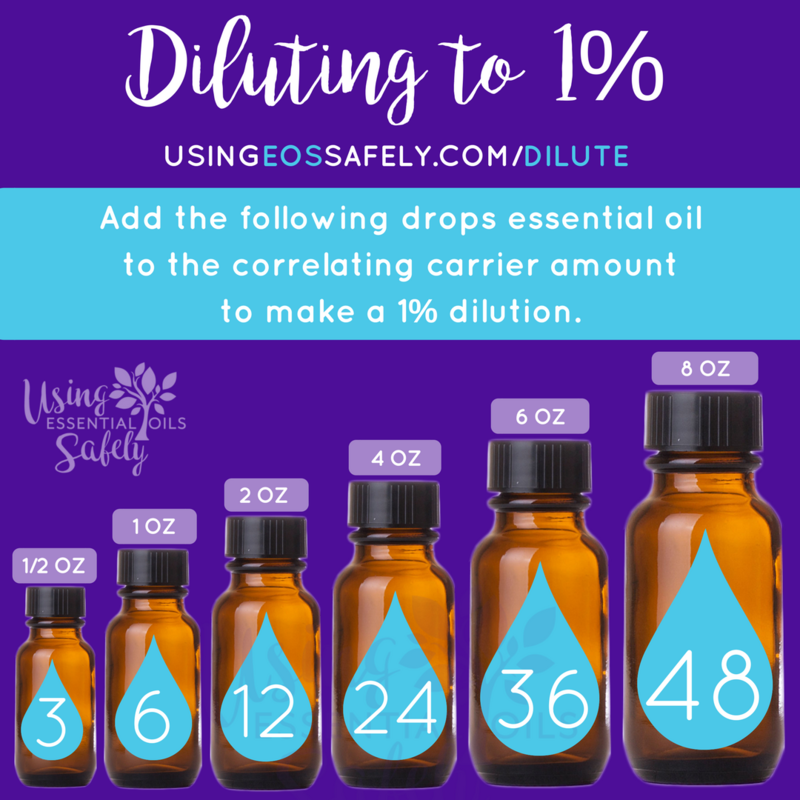 Diluting essential oils is done by adding a drop (or more) of the essential oil into a carrier oil, such as jojoba oil or almond oil (more about carriers here). This not only provides a good medium for the oil to absorb into the skin but spreads the oil over a larger surface of your skin for more effect. Even essential oils with strong safety concerns can be used safely if properly diluted. 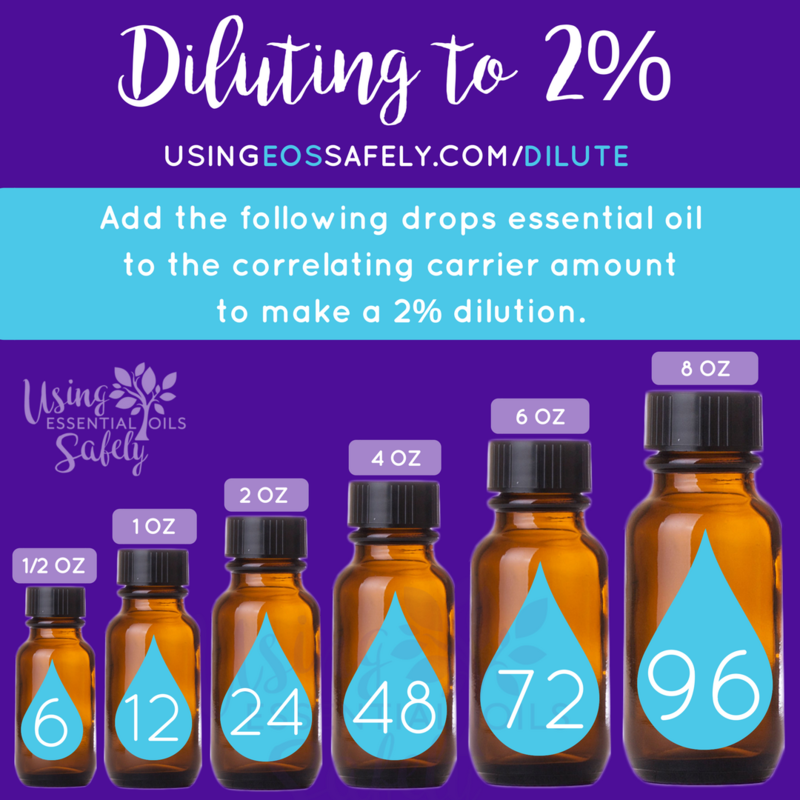 Knowing how to dilute properly will help you use essential oils safely. Why do I want to dilute essential oils? Properly diluting essential oils provides a measure of safety against topical irritation, sensitivity, photosensitivity, and sensitization. Psst! 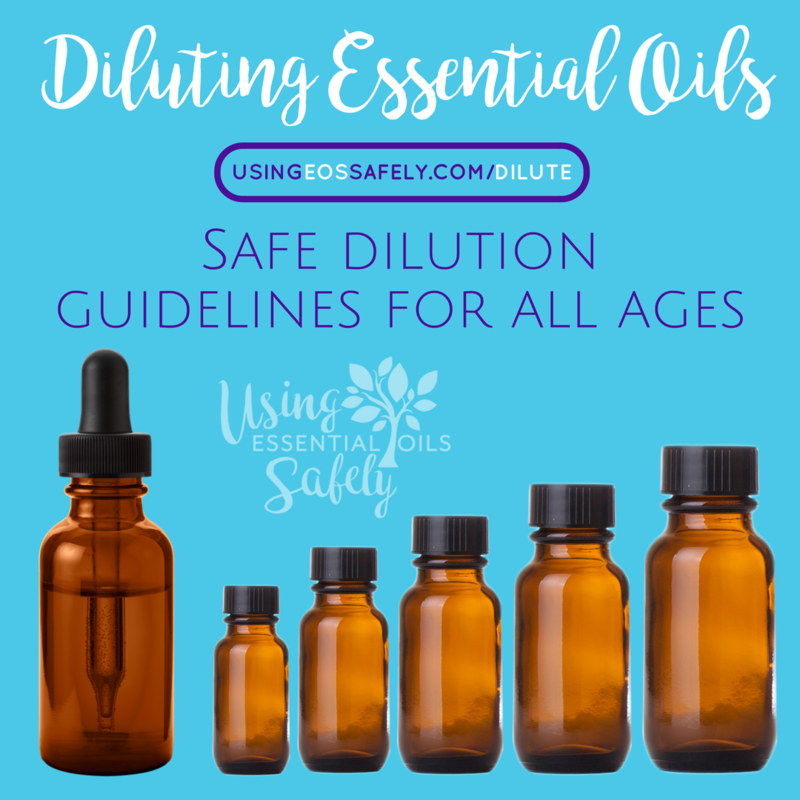 I made an Essential Oil Dilution Guide magnet here to help you know how to dilute! How much do I dilute? your health issues, such as bleeding disorders, compromised immune systems, etc. 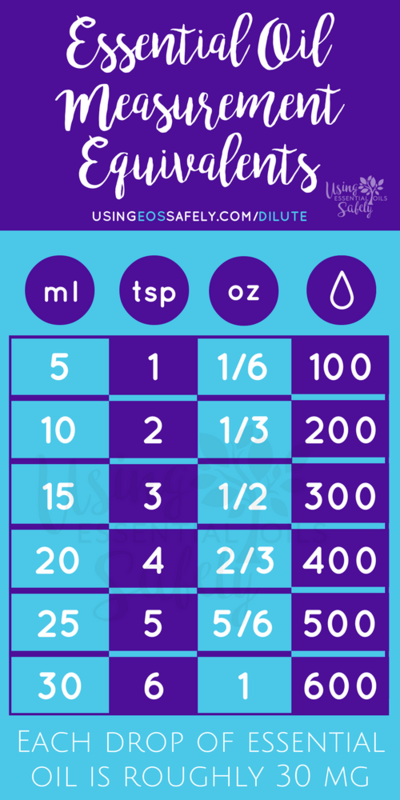 Here are some general guidelines for diluting essential oils safely. Please note that these are general guidelines only, and other factors may be present which would over-ride these general guidelines. 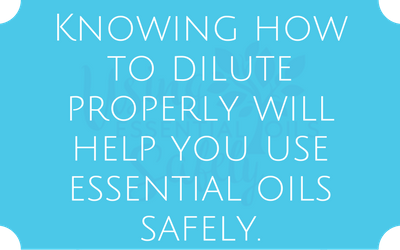 Keep scrolling to find a list of essential oils which need extra dilution and special attention when using topically. 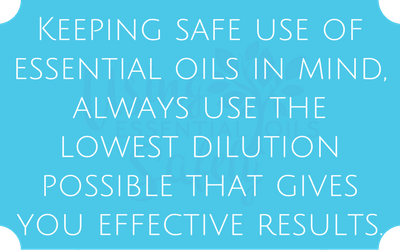 Keeping safe use of essential oils in mind, always use the lowest dilution possible that gives you effective results. 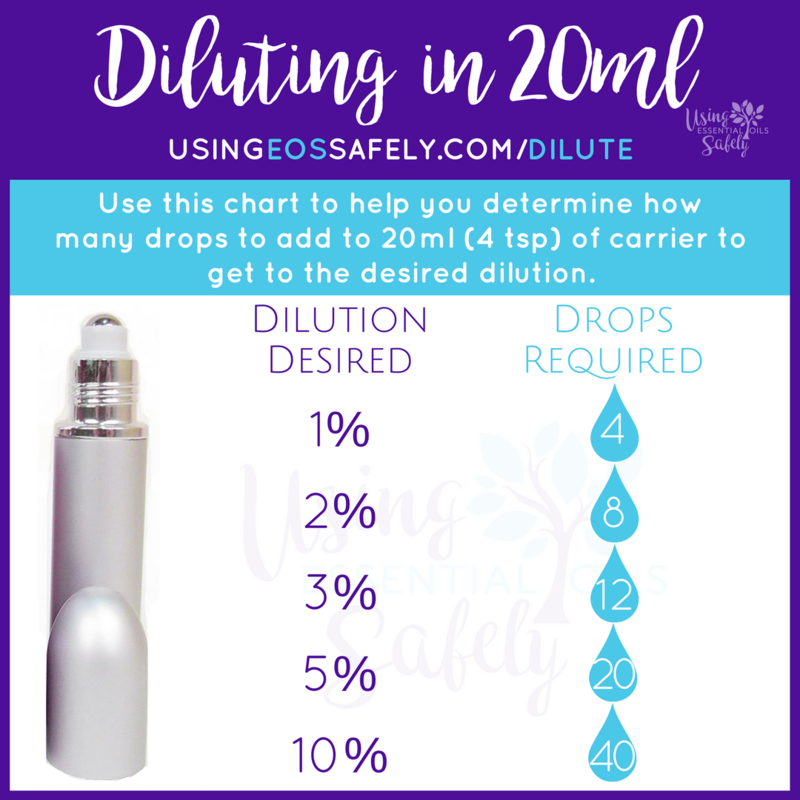 Remember, you can dilute in a variety of carriers: lotion, oil, aloe vera gel, etc. Read all about carriers here: What Carriers to Use. Please only use for the younger ones in an urgent situation, such as a bee sting or bug bite. Otherwise, avoid using essential oils topically for children under age 2, and use herbs or hydrosols instead. 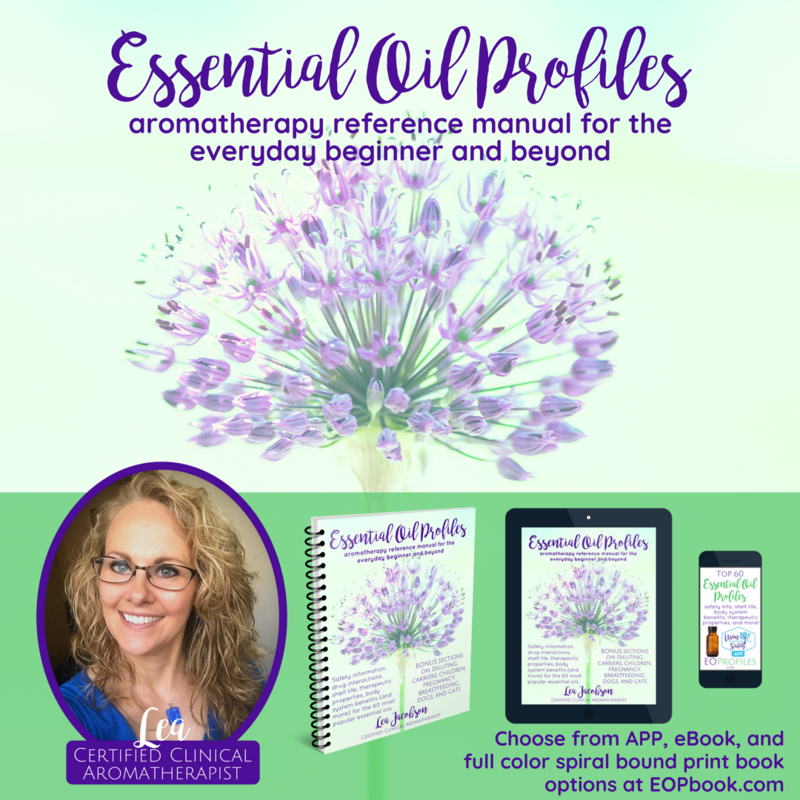 Read: Herbs or Essential Oils – which one should I choose? Hydrosols and herbs are still a good choice for this age group and should be considered before essential oils. Children in this age group have skin that s getting a bit thicker, and their immune systems are maturing, so it is okay to use essential oils if properly diluted. Recommended for children over age 6, pregnant women, elderly adults, those who have sensitive skin, compromised immune systems, or other serious health issues. This is also the dilution you want when you are applying to the face or massaging over a large area of the body. Ideal for most adults and in most situations. This is also a good dilution for daily skin care. Best used short term for a temporary health issue, such as a muscle injury or respiratory congestion. For an acute issue, such as a muscle cramp, or severe pain, 25% may be appropriate (25 drops per teaspoon of carrier oil; 150 drops per ounce). Sometimes an essential oil may be used without dilution for acute short-term issues. bug bite, burn, or sting might be a good reason to use an essential oil in this way. Choose wisely, and don't make a habit of this. 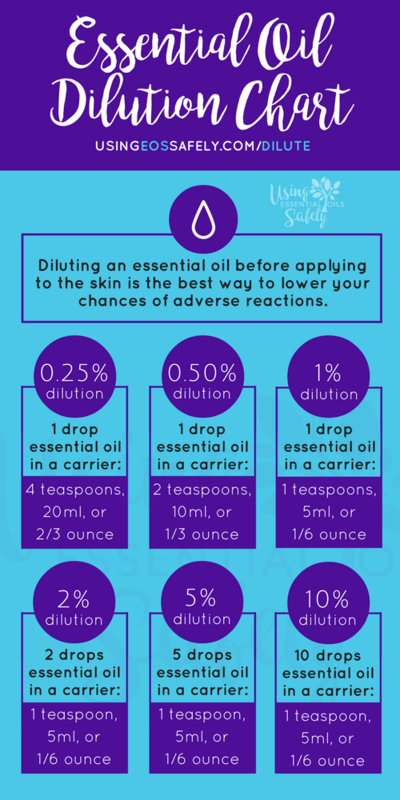 Not only can some essential oils irritate the skin, but you increase your risk for sensitization. Remember the lower essential oil dilution you use, the lower the risk of adverse reactions. 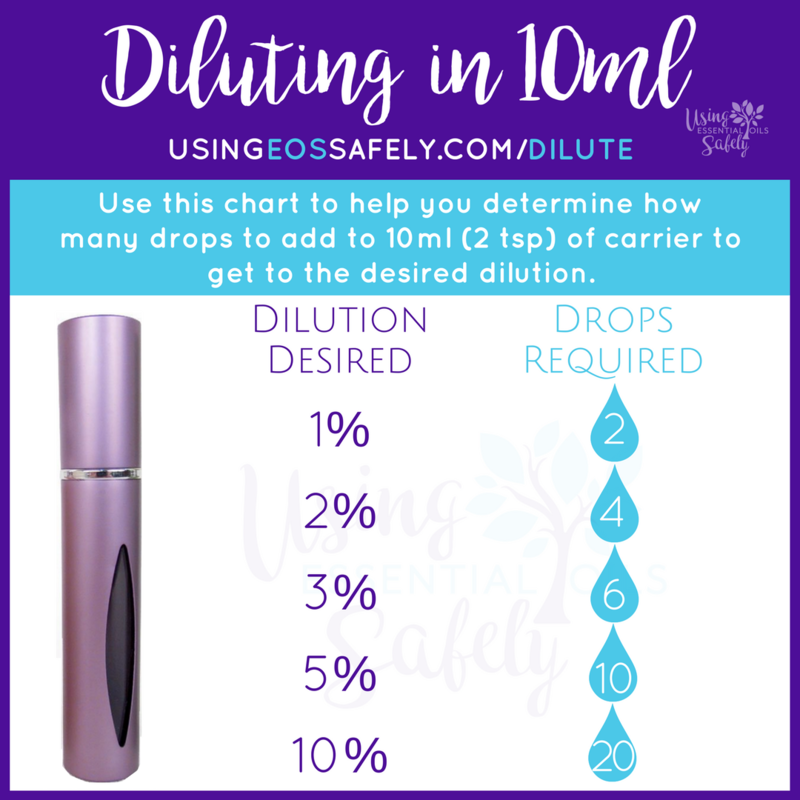 Be stingy with high dilutions. 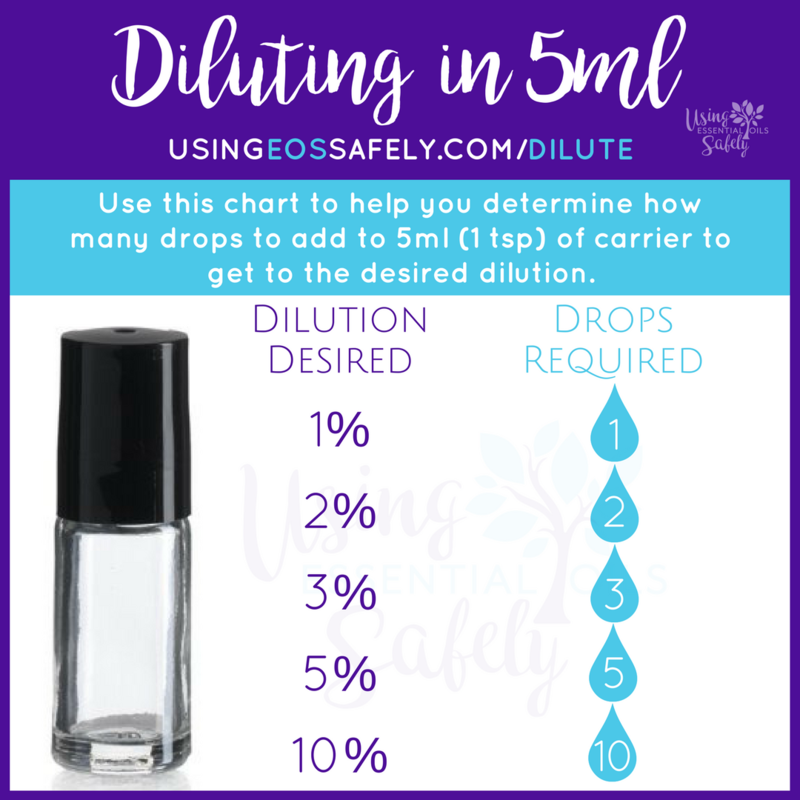 Here are charts you can use to help you calculate various dilutions. 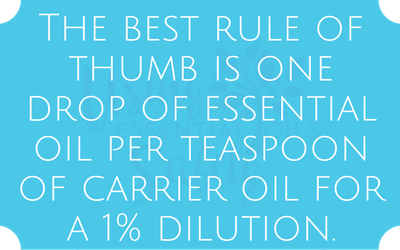 The best rule of thumb is one drop of essential oil per teaspoon of carrier oil for a 1% dilution. 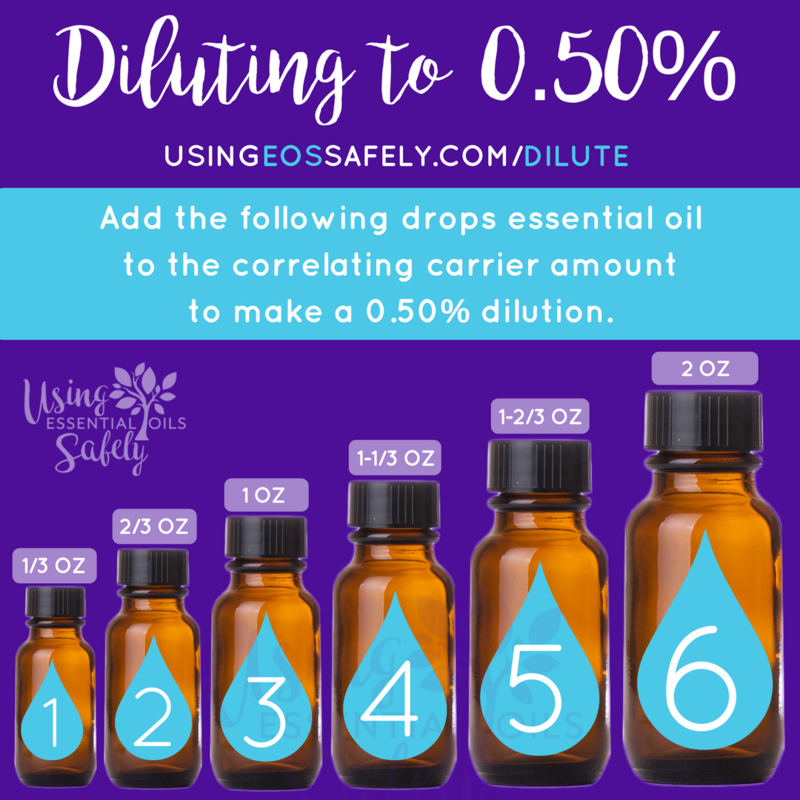 For a 0.50% dilution you can't exactly measure half a drop, so instead, you will increase the amount of carrier oil. Understand that you don't have to use an oil exactly, you can use any carrier, including a lotion, butter, or even aloe vera. Read all about carriers here: What Carriers to Use. I use these clear 5ml roller bottles and these amber 5ml roller bottles. I use these colorful aluminum and glass 10ml roller bottles, and these gold foil and amber glass 10ml roller bottles. I like these colorful aluminum and glass 20ml roller bottles. I like using these 1/2 ounce amber Boston round glass bottles and 1/2 ounce amber glass dropper bottles, as well as these 1-ounce amber Boston round glass bottles and 1-ounce amber glass dropper bottles for storing pre-diluted blends. If storing lotion, I like to use these 2oz BPA-free squeeze bottles or these 2.7oz brushed aluminum pump bottles. Like this chart? Grab the magnet and sticker versions (while supplies last!). 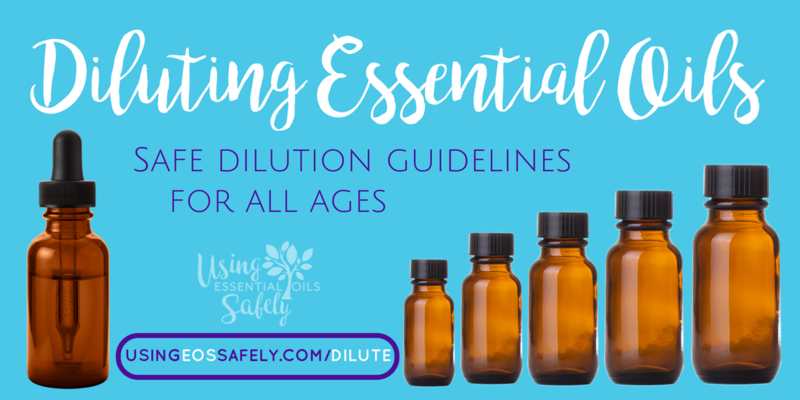 Although I just gave information for the general dilution of essential oils, some essential oils need further dilution to stay within safety guidelines. 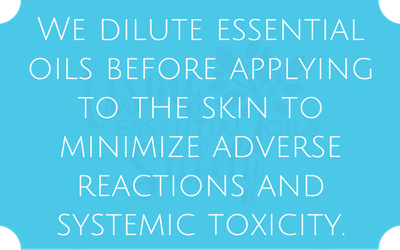 Following these guidelines can prevent adverse reactions including (but not limited to) irritation, phototoxicity, and sensitization. This isn't an extensive list. 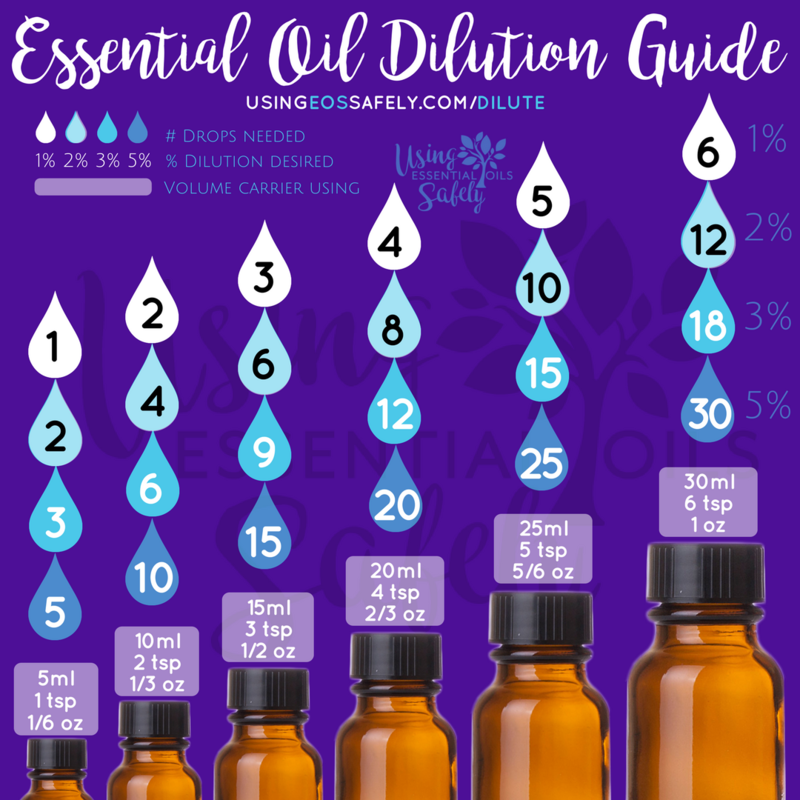 I've chosen the essential oils that come up most often in our facebook group, and have included them below after pulling them out of the essential oil profiles included in Essential Oil Safety.